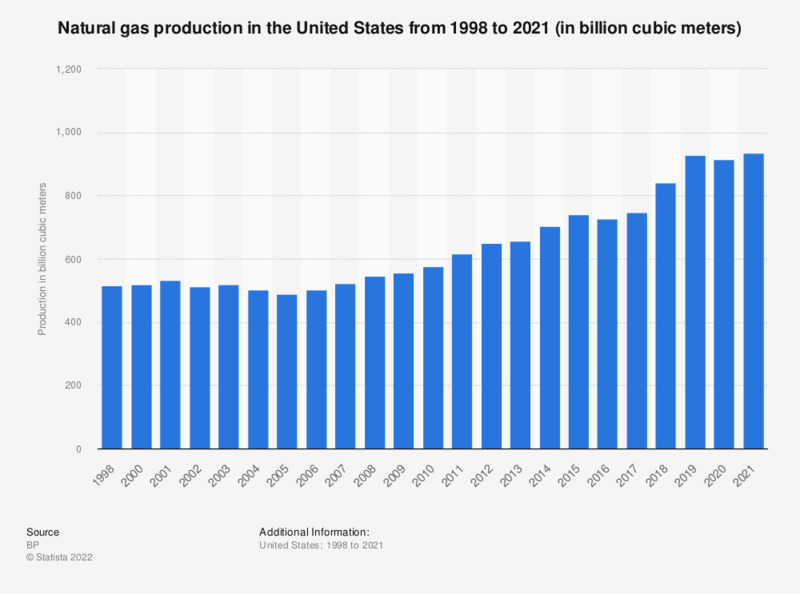 The statistic shows natural gas production in the United States from 1998 to 2017. In 2017, natural gas production amounted to around 734.5 billion cubic meters. According to the source, the data represent standard cubic meters (measured at 15°C and 1,013 mbar) where possible. Since the data are derived directly from metric tons of oil equivalent using an average conversion factor, they do not necessarily equate with gas volumes expressed in specific national terms. Excluding flared or recycled gas. The figures from 1998 through 2006 are taken from a previous edition of the publication. Everything On "Natural gas energy in the U.S." in One Document: Edited and Divided into Handy Chapters. Including Detailed References.